Do you have a lot of money that you can spare? If you do, or just out of curiosity want to know what millionaires provide for their children, you can go through the following section. OK, the following baby car seats we are going to talk about are the most luxurious, most pricey and most technically or graphically advanced ones. Some of you may not have any idea about their existence. In this section we’ll elaborately discuss about luxury seats. Before you are introduced with the toppers, you must have few ideas about them. First of all availing this kind of things is only the capability of people with money. Rather these types of car seats won’t go too well in your regular commuting car. The seats may not have more advanced safety features but they are built with premium quality materials and this makes a whole lot of difference in the price. The Maxi-Cosi Pria 70 has a special edition that’s built with high quality leather. It’s a damn hot looking and a relatively new product on the market. 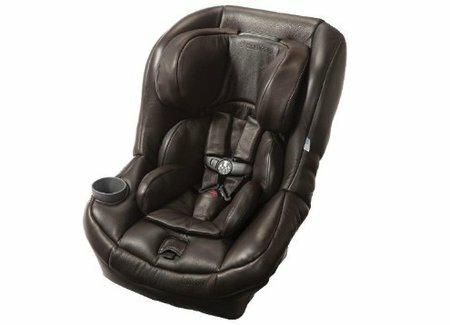 Like lots of the leather products the Maxi-Cosi Pria 70 Leather Edition also comes in two different colors of black and brown. The product is made in USA and has all the prominent features of a child safety seat. When it comes to weight capacity, it’s the best in its class. 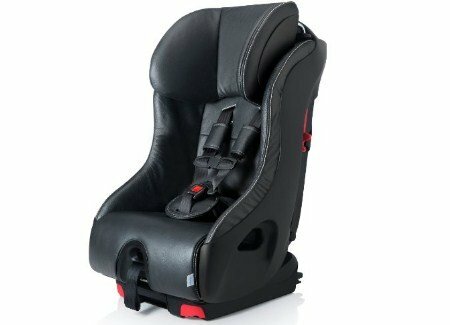 Maxi Cosi is also a renowned child safety seat manufacturer. So, this product has the same reliability of other models but comes with a touch of premium luxury. This makes the Maxi-Cosi Pria 70 Leather Edition one of the best available in the market. All the premium luxury sedan owners are the main customer of such product. On cars like those a goofy looking safety seat can ruin the whole image. Keeping this thought in mind the car seat was designed. If you are thinking about buying a booster seat for your luxury SUV then this could just the right deal for you. It will cost you more than eight hundred bucks and that extra buck will hold the prestige of your cars interior. Moreover you will get the extended weight capacity with a seat like this. This piece of luxury will hold kids from 9 to 70 lbs in both rear and forward facing mode combined. The seat is also equipped with air protective cushions on the head and neck wings. Do you have a classic car and want to equip it with a car seat that will not hamper the essence of the car? Then look no further and go for the Clek OOBR Special Edition Booster Seat. If you don’t believe us, just take a look at the seat. Yes, it feels so classy and Clek has introduced a great safety mechanism named Rigid-LATCH. This keeps the seat steady in its place and protects the child by redirecting the impact force. This creamy colored booter seat has a fixed back. The whole thing comes with a strong metal frame and high impact energy absorbing foams covering it. You can recline the seat if you have to. 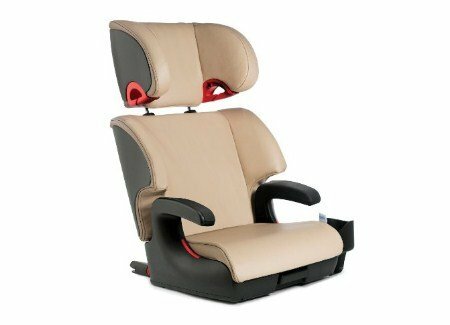 Another great feature of the Clek OOBR Special Edition Leather Full Back Booster Seat is that, it looks like an actual car seat but on a smaller level. In terms of looks this seat is entirely different from other booster seats available in the market. And the special edition is special indeed. It’s priced over five hundred bucks because of its premium finish. The seat has a creamy colored premium leather cover which boosts the interior looks of a classic car. Clek Fllo has steel bar which is anti-rebound and this feature is required in Canada. You will get built-in lock offs system for the both forward-facing and rear-facing. The steel sub-structure will not let this convertible car seat twist in an accident. The seat headrest is connected with the steel rods of the seat frame. The headrest has energy absorbing foam. The seat provides the energy absorbing foam in both the inside and the outside of the Clek Fllo car seat. Now come to rear-facing position topic. It is specially designed for accommodating those kids which age is 4. According to the child’s weight, the Recline is adjustable. The crotch strap is also adjustable. The Energy Absorbing Safety System of Crumple Technology is installed under the seat which will absorb the crash forces. Fllo is the narrowest child car seat on the market. You will get 8 covers. The seat is also washable. The car seat is also FAA approved. It is also the most compact and best convertible car seat for small car. What is the bottom line? The Clek Fllo is the latest compact convertible car seat. It has amazing safety features. Rear-facing position can be usable up to 50 lbs. Anti-rebound steel bar and crumple technology for energy absorbing will keep your child secured. The car set has deep wings for both sides and the seat has energy-absorbing layers. It will drive away the crash forces. The headrest can be adjusted as you want to adjust it. According to the child weight, you can adjust the Recline. The adjustable crotch strap is also given here to make the car seat easily usable. The unique feature of the seat is an energy absorbing safety system is installed under the seat. It will do a great performance in absorbing the crash energy. It is a narrowest convertible car seat for the child and widely usable in maximum vehicles. Fabrics of Crypton are used in the seat. It is a super quality fabric. The fabric is stainless, protected from moisture and bacteria. 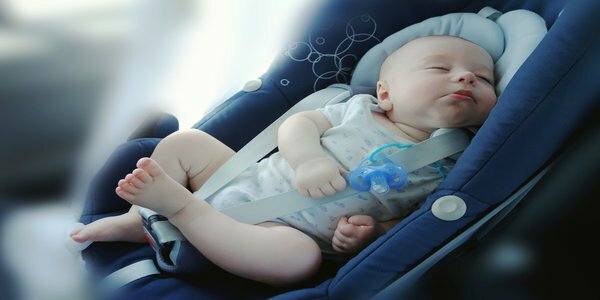 In experts point of view you must buy a baby car seat which has notable safety features. The customer service is very commendable. They provide their best service. The Clek Foonf Special Edition is another great luxury car seat. The specialty of this seat is its patented energy absorbing technology called REACT. 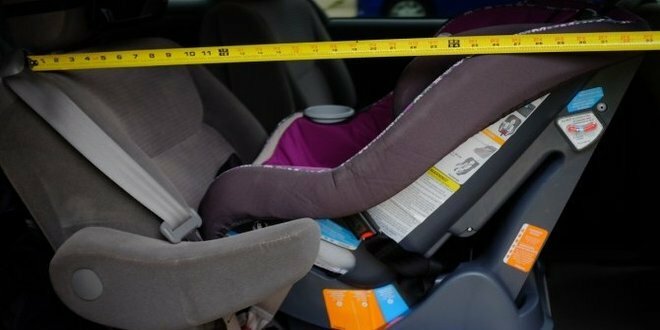 The framing of it is also strong and even after all these seat takes very little space on the car seat. The compact design of Clek Foonf Special Edition offers the heights rear facing child holding capacity of 50 lbs. The whole thing comes with the most advanced energy absorbing foams. Not only this, the special edition also comes with premium leather cover. The stitching is also great. The Clek Foonf Special Edition is capable of holding child up to 65 lbs and the product itself weights 34 lbs. It has a maximum height of 30 inches which is really great. It’s actually for those parents who are mostly concerned about the safety level of a car seat and along with it also seeks the essence of luxury. It’s a product of that kind and will greatly decorate the interior of your luxury car. 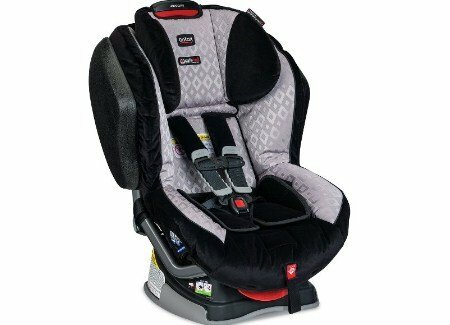 Britax Advocate G4.1 is a standard seat for car which is useful for 5 – 65 pounds children. It is setup in rear position for receiving 5-40 pounds weight which is setup with the adult seat or Latch connectors. A chest pad is available with Britax Advocate. It has built in safe cell technology. There are side impact protections. It has safe & click snug harness indicator. The safe cell technology of Britax Advocate features are designed to absorb the pressure in a crash. 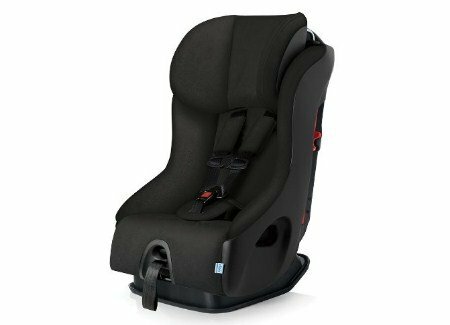 The safe cell technology of this highest safety rated convertible car seats manage crash energy that is applicable for forward head movement when keeping the clip of the chest is installed properly. The SICT features provide energy absorbing cushions which can reduce the collision energy up to forty five percent. This feature can divert collision forces away from the children. This feature provides an excellent safety in roads. This Britax G4.1 has extra layer of EPP foam. It keeps safe the neck, head and spine from serious physical damage. The EPP foam of this seat distributes crash forces. This device has an audible feature this provides extra protection. It’s time for the moment of truth. 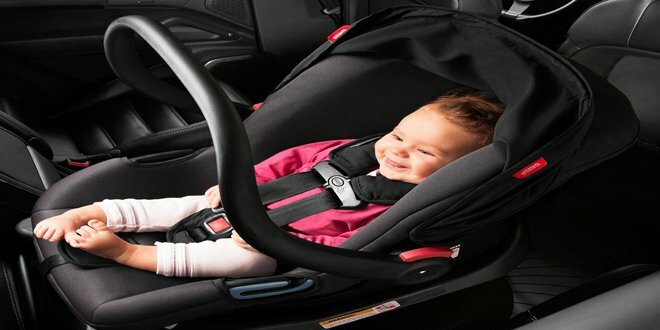 Have you been wondering which the best convertible car seat for the money among these ten models is? Well, we’d go with the Britax Boulevard G4.1 Car Seat in this case. It may seem a bit overpriced to you but the seat but it’s featured made up for everything. The unmatched base which absorbs impact, layers and layers of side impact protection, the safe cell impact protection provided by the frame, everything is one of a kind in the Britax which makes it one of the best available safety seats in the market. Also, safety wasn’t the only concern while the product has been designed. The whole thing offers you the best comfort. The technologies included for the installation of the product to its adjustable features everything is a charm. Even the looks of this car seat is very classy and modern at the same time. Every penny you spend behind the Advocate is worth it. It is the best of the best because it deserves an honorable position like this. Now, if you look closely you will find that all the three seats have raised the bar for other booster seats. The main difference that will appear before you would be leather. The uses of leather have made a huge difference on the quality of the product as well as in the price of it. But there are more things behind the curtain. The normal model of the same thing is massively produced where these luxurious models get extra attention. And extra attention means that the seat is a little bit safer and a little bit more users friendly.